I did not waste a minute. I arrived at Keflavik Airport somewhere between midnight and 1 a.m. (it’s hard to say–jetlag and the still-blue sky had my internal clock all jumbled up!) Reykjavik is about an hour’s drive from the airport, so once I got settled into my gorgeous VRBO apartment in the Laugarnes peninsula in Reykjavik, it was practically time to get up and start the new day! Waking up was incredibly easy, mostly in part to the sun’s early 3 a.m. ascent. The first stop out of Reykjavik was Pingvellir (Thingvellir?) This geological masterpiece is a UNESCO World Heritage Site and the home of the world’s oldest Parliament. From the Hakid lookout at the visitor’s center, we could see over the entire continental divide, including the Oxararfoss waterfall, Thingvallavatin Lake and the Silfra fissure that I would soon be taking a dip in! (More on that later.) This entire area is in a rift zone, where the Eurasian and North American tectonic plates are moving away from each other. A path next to the visitor’s center led us down into the Almannagjá fault for a nice little hike. I have never seen such striking landscapes in my life. 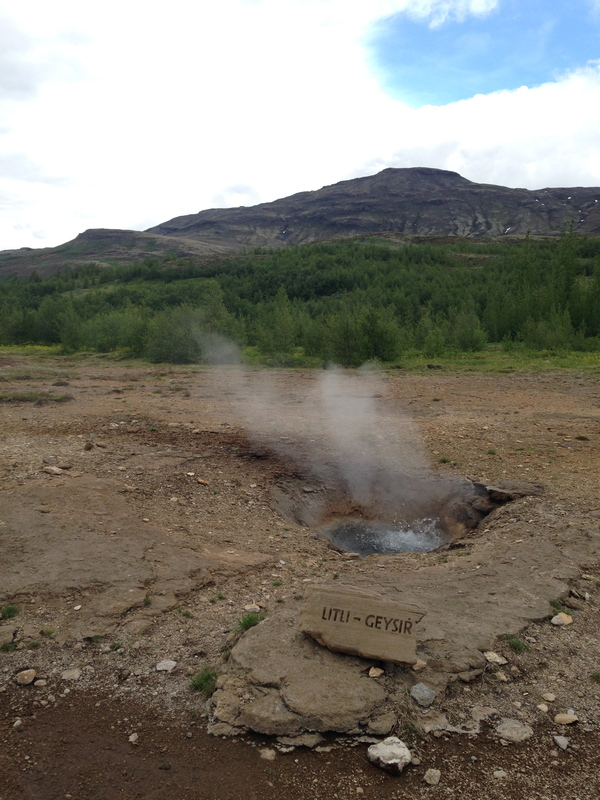 The geyser erupts every 4-8 minutes, whereas its much larger brother, Great Geysir, has gone years at a time without movement. Just a tip: this was one of the very few stops that had free restrooms! This waterfall took me by surprise–the two-tiered powerhouse was incredible. 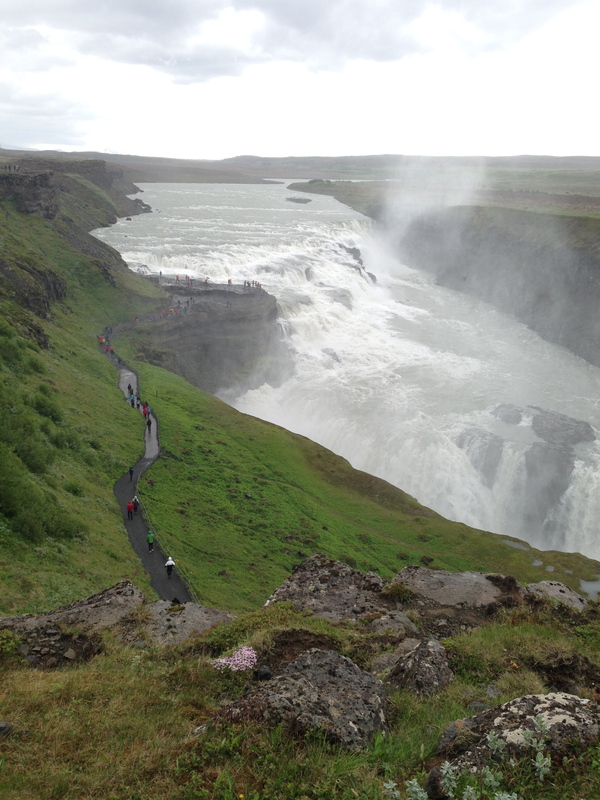 It’s no wonder a company tried to turn it into a source of electricity in the 20th century, but I’m very grateful that Sigríður Tómasdóttir fought so hard to stop them so that we can enjoy the waterfall today. An added benefit was the different vantage points along the falls–one on the cliffs above, another along the path, and a third adjacent facing the topmost tier of the waterfall. The Golden Circle outing took about 6 hours in total. Once I got back to my apartment, I decided tot explore the local neighborhood–the best way to get to know a new place is to go on a walk and get lost! 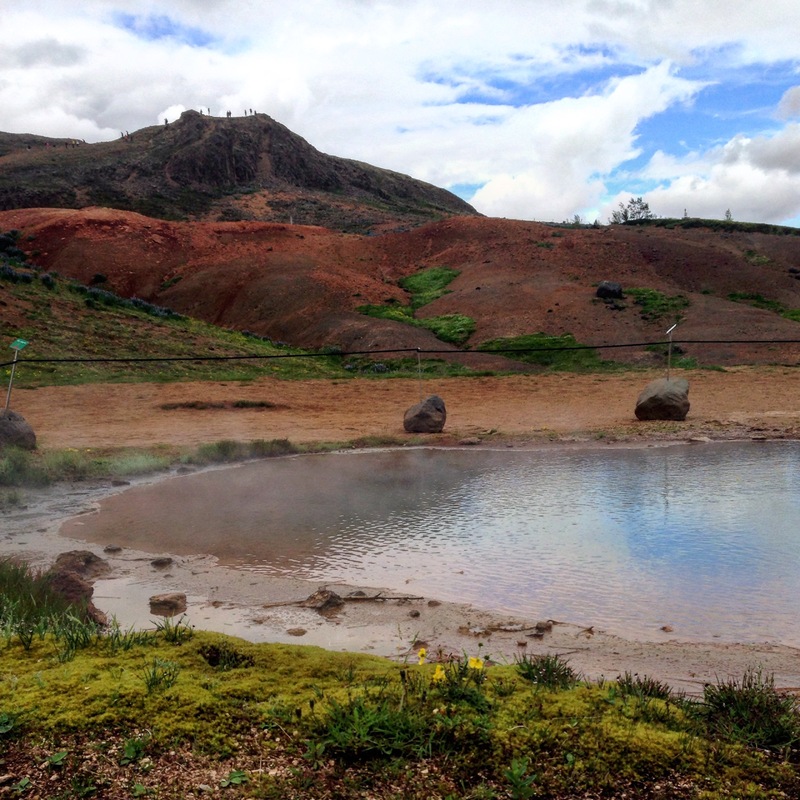 I discovered that my building was next to a seaside walking path and just around the corner from the biggest thermal pool in Iceland! 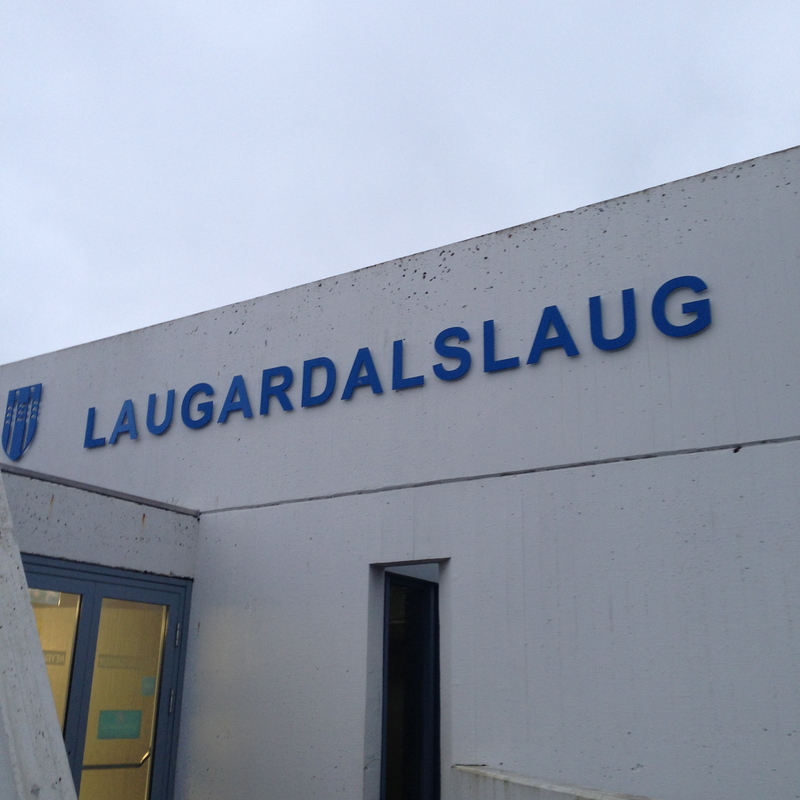 After walking the Laugarnes shoreline path and admiring the sculptures at the Sigurjon Olafsson museum, I grabbed my suit and hurried to the Laugardalslag Swimming Pools. The biggest swimming pool in Iceland! I tried to sleep in the midnight sun, but a combination of blue skies and anticipation for another day of adventures had me up at dawn the next morning!